The 2016 summer school is announced! After last year’s incredibly successful workshops, we are delighted to announce today that our summer school will be taking place between 25th and 27th July at Poole Grammar School. This is an exciting opportunity for young musicians of all levels to meet friends new and old and develop their musicianship in a variety of environments. The Summer school will consists of a range of activities, each approximately an hour long and the days will be tailor made for each child depending on their age, instrument and ability. All the tutors are chosen due to their expertise, all teach and perform at the highest professional level. There will be different standard music theory classes based on working towards ABRSM grade 5 level. 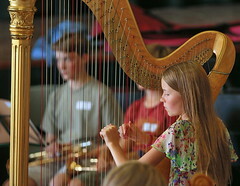 Those who have passed grade 5 theory will take part in advanced musicianship classes with a highly qualified tutor aimed at educating and inspiring at the highest level. The chamber music groups will be allocated according to instrument and ability. This will include quintets, quartets, trios and larger ensembles and tutors will be visiting from the local Bournemouth Symphony Orchestra as usual. There will also be an improvisation class. There will be one non musical structured activity during each day and each tutored group will take part in a demonstration of work at approximately 3.30pm on day 3. It is not essential to take part in the 3 days, but highly advisable as their work is leading towards this final performance. For more information or to book your place click here to sign up!